Save £19 Today - pay no extra for delivery when you add a mattress to your order. with a smaller ceiling height. We consistently create high quality and stylish designs that our customers love. 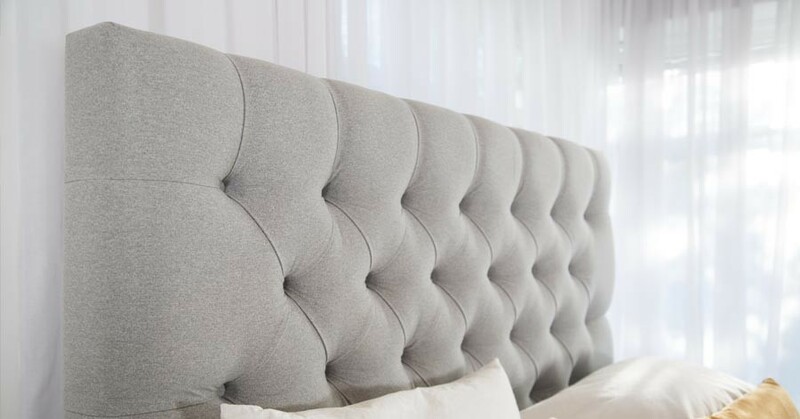 With our handmade Caesar Bed, our skilled and experienced carpenters have gone above and beyond in creating a luxurious and stylish upholstered bed frame, perfect for any bedroom. 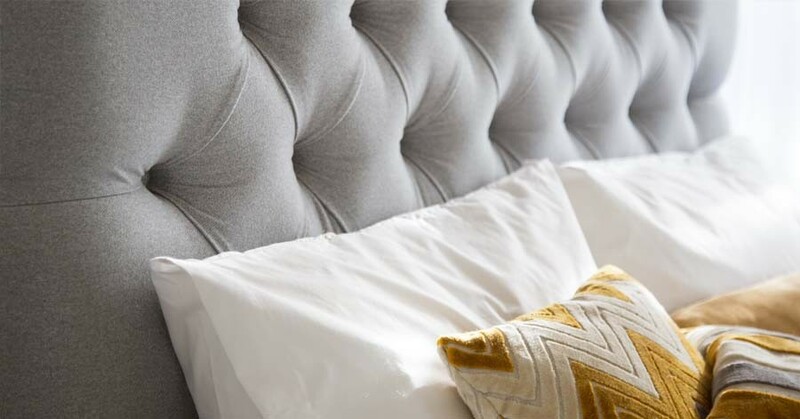 The upholstered Caesar Bed maintains a modern, sleek and traditional appearance. 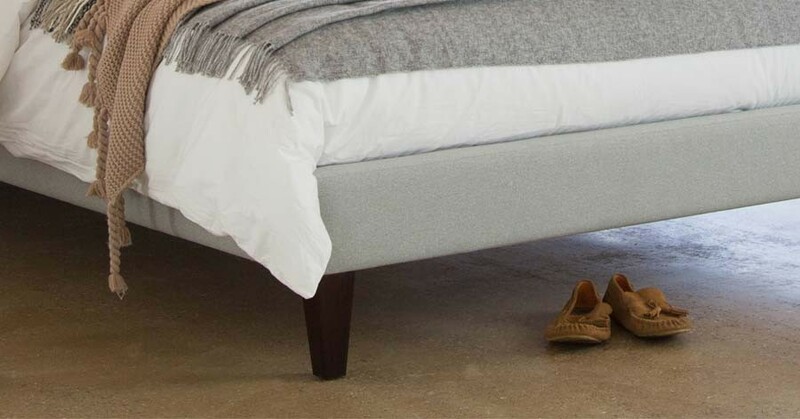 The Caesar Bed frame features a high headboard, providing maximum comfort and support, particularly to those who like to watch TV or read a book in bed. 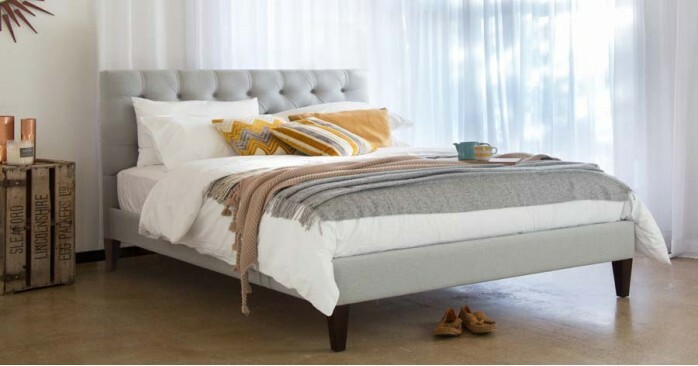 The robust structure of our upholstered bed frames enables us to offer an 11 year structural guarantee with all of our handmade beds, and the Caesar Bed is no exception. 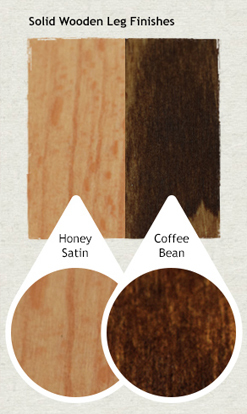 The bed is wrapped in a strong fabric, with a cotton-like feel, the fabric is durable and will stand the test of time. As standard, we use mortise and tenon joints in the construction of all our bed frames, and this adds to the solid structure of the bed itself. Bespoke/Custom Sizes Custom sizes are available as all bed frames are handmade to order. For most alterations add £55* onto the nearest standard size and design.